Marcella opens up with a woman in a dingy bathtub. She’s bruised and confused, a big gash runs down the side of her forehead. She doesn’t seem to know what happened anymore than we do. The woman in the tub is the title character, and as her story progresses, that bathtub flashback becomes even more ambiguous: Is Marcella the victim of a crime or the perpetrator of one? Hans Rosenfeldt knows his way around an inscrutable female lead. He’s the brains behind Saga Norén, the possibly Aspbergian detective of The Bridge, who would become Sonya Cross in FX’s version and Elise Wassermann in the BBC version. For fans of The Bridge, many of Marcella’s elements will feel familiar: a central figure with complicated relationships with the people around her due to an undiagnosed condition, people dying in gruesome but meticulous ways, a mystery that expands just as it feels like it’s winding down. 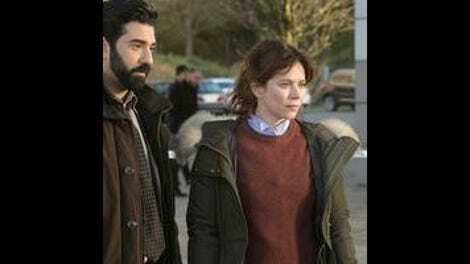 Both The Bridge and Marcella require the audience to ignore coincidence, red herrings, and plot holes in order to enjoy the larger mystery at hand, but Rosenfeldt is so good at constructing the world his characters live in that it’s easy to forgive his stories’ inherent issues in favor of watching what he’s created. Before Marcella (Anna Friel) is found bloodied in the bathtub, she’s a housewife who has just been left by her husband, Jason (Nicholas Pinnock). She soon receives a knock on her door from a cop: Back when Marcella was a detective, she investigated a series of murders by suffocation. While there was a prime suspect, no one was ever jailed for the crimes, and—wouldn’t you know it?—they’ve started up again. Soon she’s brought back into the police force that she left over a decade ago in order to care for her family. Ignore the fact that she simply asks for a job, and gets one, without any sort of retraining or other bureaucratic messiness. It’s not worth it. But Marcella isn’t about the single pursuit of a murderer—that wouldn’t be as fun for Rosenfeldt. Marcella’s world quickly expands beyond the previous suspect, who is in jail for manslaughter but gets to work in a bakery and chat with a student about her thesis (Downton Abbey’s Laura Carmichael, who fares almost as poorly in modern-day England as in the early 20th century). These threads don’t seem to connect at first—Marcella’s soon-to-be ex works for a developer led by the icy (and excellent) Sinéad Cusack, a webcam girl nicks goodies off of her cheating clients and sells them to a nearby pawn shop—but Rosenfeldt has a proven track record of weaving everything together. It might not be seamless, but that doesn’t mean it’s not fun to watch. Everything would be considerably less complicated if Marcella wasn’t an unreliable figure through which to view the narrative. She goes into fugue states, unable to remember where she is and what transgressed when she was out. She only sees flashes of violence—her own. Marcella isn’t investigating just one murderer; she’s potentially trying to cover up her own tracks. Friel telegraphs Marcella’s fear and pain quietly and subtly, allowing her to vacillate between victim and potential criminal. While audiences loved Walter White and Tony Soprano, two killers at the centers of their own series, Marcella is a harder sell. She’s not as well-developed as those guys but just as tortured, and she’s not nearly as interesting as Saga Norén but still distinct enough to propel the story forward. 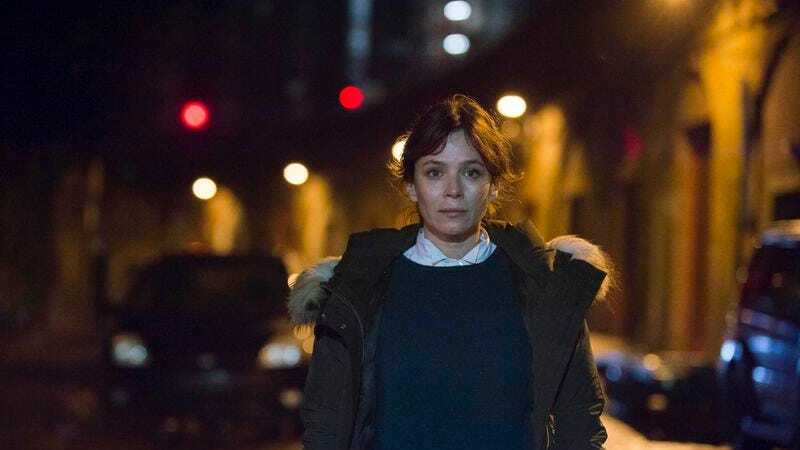 Marcella is in capable hands with Rosenfeldt, who knows how to handle these sprawling mysteries in which no crime is as clear cut as a Law & Order episode makes it out to be. There are no white knights who are entirely good, though there are people who are entirely evil—it wouldn’t be as fun if there weren’t. There are so many characters, and when the plot teeters on the edge of not making sense (Marcella, for instance, constantly does internet searches for the name of her potential victim, which is probably not the smartest move a cop could make if she’s worried she’s killed someone), a storyline will bring it together. Murder, like in The Bridge and other Brit mysteries like Luther, is rendered starkly brutal. In one scene, the camera lingers on a man, a bag taped over his head, as he lies on the floor gasping for air. There’s an artfulness to Rosenfeldt’s killers, and that’s what makes his stories compelling, even if they’re ridiculously improbable. Seeing how Rosenfeldt can keep everything moving cohesively is almost as much fun as the story itself.